Oh to be seeing a list like this from Openreach. It seems to be a list of specific addresses that will get FTTP. BT could issue such a list today, could they not, as some people do get that service? I’d also be worried that they are promoting it all as “copper retirement”, rather than “FTTP”. That could be achieved simply by transferring the awkward rural customers onto cellular or satellite services. PS: Apols, ignore all that, I hadnt read it right. They are giving notice of withdrawal of maintenance for copper, right?. I am a little surpised thay are allowed to do that, ie to force people onto FTTP, even for voice service. 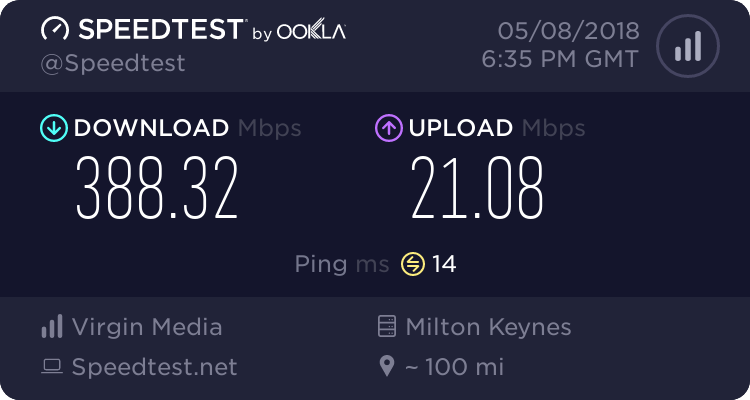 Question... if I were lucky enough to be offered FTTP from BT, would I still be able to use copper for voice? The way I read the second link, Verizon will be "retiring" copper at specific addresses where they already provide FTTP services or have specific plans to do so. At that time voice will also have to go over FTTP for those premises. There seem to be a lot of street numbers missing from the lists, and whilst that may be because an addresses has its number allocated by geographic location rather than numerical order, I suspect that addresses currently supplied with copper only are largely unaffected at the moment. Of course, I may be completely wrong, and the way things will progress in the UK will probably be completely different anyway! I am a little surpised thay are allowed to do that, ie to force people onto FTTP, even for voice service. Why wouldn't they be allowed to install fibre then retire the inferior copper? It's their network, they own it. They spent the money to invest in fibre and maintaining copper on top would not have been in those investment plans. As long as they aren't retiring copper before covering all properties in that area fibre, no idea why you would want to keep the copper. old fashioned copper PSTN has advantages over fibre, for voice calls. These include avoidance of packetisation at that level, and the ability to supply power over the phone lines, so that you can still call the fire brigade even if the fire has taken out your mains supply. With Voice over fibre, I believe you must rely on rechargeable batteries that form part of the installation. Opinions differ on how reliable these batteries might be. Granted, very few people these days own a dumb phone that works from line-power, but I am slightly surprised that the need to allow it, where it was demanded, would be removed. To test whether BT still support truly dumb phones I have just made a call on such a phone, a BT706. Using pulse dialling, I called my own mobile number. A few moments after the dial came to rest for the final digit, the call was delivered, indicated by bleeping from my wristwatch. Granted, very few people these days own a dumb phone that works from line-power, . . .
Do you have any statistics for the above? I am one of the "very few" . . . however many of us there may be. I am afraid I was just guessing. Obviously, I am another. You have no idea how pleased I would be, to be proven wrong about us being “very few”. Or you could like 10s of millions of people just ring the fire brigade from your mobile phone? In every single one of my power cuts including the one's where the dslam also lost power, my mobile phone continued to function not only for calls but for internet as well. Mobile services are pretty damn reliable these days. Mobile technology has made copper cabling obsolete in my opinion, fibre still has a place due to the sheer capability of it for data throughput. Also how many people own a landline phone that will function without power? I know mine and my parent's rely on a base unit having power. Alot of other people I know dont even have a land line anymore, as most are on cable broadband and have chosen to not take up a voice service. @Chrysalis, I tried very hard to not suggest or imply, that many people want or need a powered land line. Nevertheless I am slightly surprised that the Telcos are allowed to forcibly remove the option, however rare the uptake may be. Of course, this thread is about a US Telco so in any case, rules may be different. Note in particular, to set a friendly context for any subsequent discussion, I have emphasised the word “slightly”. Well they have barely any regulation compared to ourselves so that isnt surprising at all. In the 1980s I would have agreed with you. But technology has since moved on, and maintaining copper has significant bearing on the business case for rolling out FTTP services. I am not against tho making sure BT's end of a FTTP link is power redundant, and then those consumers who want a working voice service in power cuts just then have to add power redundancy at their own end. It’s an important point about power supply continuity and possible emergency services considerations. <rant>I am sure that I have said before that I wish the government would enforce mobile phone mast operators to have both a UPs and a diesel generator at base stations, one with at minimum 48 hours runtime, 100 hours runtime in certain designated cases. They should also be required to have certain numbers of auxiliary mobile generators which can quickly be brought on to site, by helicopter where applicable. These should be required to have hot switchover facilities so that one new generator unit can be brought online without first turning off an existing unit and with the necessary hardware in place to handle two units running together, allowing a seamless changeover with zero downtime. Thinks back to the chaos of fourteen years ago, January 2005 with power down for days, trees uprooted by the hurricane, tree trunks snapped, winds over 120 mph up where I am. Road in South Skye washed away into the sea, completely gone and needing to be rebuilt. The maintenance backlog must have quite daunting. Memory falters as to what the recorded wind speeds were, there was one reading at the Skye Bridge, of iirc 124mph, but that is on the sheltered side of the island and of course down at approx at sea level. In contrast, I am four hundred feet up and on the exposed side of the island looking straight out to the south west into the teeth of it. I seem to remember some figure reported from the Western Isles which was rather worse than that originating at the relatively sheltered Skye Bridge. Emphasise I agree with Chrysalis, if my house was on fire, I’d more than likely dial 999 on my mobile. Aside any other benefits, that way, I can run away from the inferno at the same time as calling. Yet I’d still like to think, if I’d run the handset battery down and forgotten to recharge, or if the local mast happened to be off-air, that I could just pick up the handset on a line-powered phone and make the call. Another aspect might, of course, be caller location, in the event that I was incoherent or otherwise unable to give location verbally. Mobile calls and VoIP calls can be geo-located, but accuracy can depend on privacy settings, and ISP disclosure policy. With a copper landline, there’s just no doubt where the copper is terminated. Nowadays, I have given Mrs Weaver a USB recharge battery. She just plugs this big fat battery into her phone and can recharge it fully from that more than once.